Tracey Evans, owner and founder of First Tier Accounting, is a results-oriented self-starter with a record of sound business judgment. Her leadership strengths include creative problem-solving, excellent communication skills and a high level of professionalism and integrity. She enjoys working with business owners and managers to develop internal processes to ensure the timeliness and integrity of their financial data. Tracey is a graduate of the University of St. Thomas, St. Paul, MN and has over 25 years of accounting experience. She has worked in a variety of industries including construction, service, retail and property management. She also has many years of experience training and teaching accounting software classes. Tracey recently completed the certification program for Profit Cents®, an industry-leading advisory tool to help businesses and their financial advisors to better understand business operations, identify key performance issues and develop customized action plans to ensure the business performs at peak levels. If you are interested in learning more about what advisory services Tracey can provide for your business, use the contact form to request a call back. 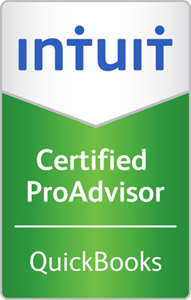 Tracey is a certified QuickBooks ProAdvisor®. Click on the icon to the left to view her ProAdvisor profile and client feedback. Tracey is a member of the International Association of Women (formerly called the National Association of Professional Women) and is active in the local chapter. She is also an adjunct staff member at WomenVenture™, where she teaches financial and QuickBooks® classes and consults with WomenVenture clients. In 2008, she was recognized as an Outstanding Volunteer at WomenVenture.